Learn and explore current practices of organizations and institutions that disengages fathers and strategies will that will seek to strengthen children and families through the inclusion with and support for fathers in existing programs and services. Day2Day Dads, a federally funded program of Family Resource Center South Atlantic will be highlighted as a current practice of father engagement. Eric Owens,BA has been part of the Family Resource Center South Atlantic family since 2010. Eric has held several positions with the agency he has experience with working with youth and families along with fathers. 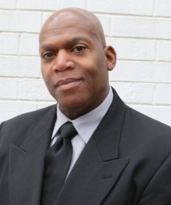 Derrick W. Byrd,MPA has served as an advocate for children and families for over 38 years. 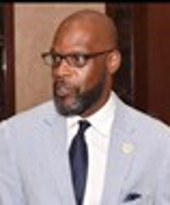 Derrick has served in various leadership positions in many local, state and national non-profit organizations and governmental agencies. Derrick is highly regarded as an independent African-American leader of change and empowerment. Derrick has been sought to provide consultation, training and facilitation in developing programs and policies impacting children and families throughout the United States. Derrick has been featured and quoted in local and national press and publications. He is one of the most highly inspirational and insightful speakers, addressing a variety of topics including family involvement and engagement, fatherhood initiatives, advocacy, racial disparities and disproportionality, child welfare, child mental health and public education reform. 1. Identify how their respective organization or institution may contribute to the exclusion of fathers in their respective programs unintentionally. 2. Contribute to an organizational culture that supports the importance and relevance of fathers being involved and engaged with children and families.